I peeked out and saw snow! 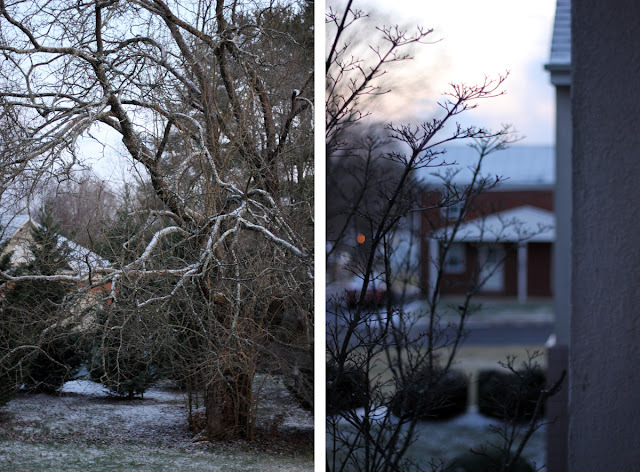 It was kind of funny that after two weeks of mild weather we come back to our apartment and saw SNOW! Of course I grabbed my camera and dashed out onto the balcony. The best part? I took these babies on FULL MANUAL. Yippee! Check back tomorrow for my New Years Resolutions post. Finally! There are more balcony shots where those came from. Even though I dislike the snow – these pictures do make it look romantic! Great shots. BEAUTIFUL photos! !Happy New year to you and your family!